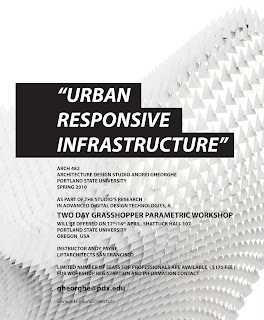 This two-day Grasshopper parametric workshop is offered through Portland State University. Taught by Andy Payne, of LIFT Architects, this workshop is open to students and professionals. For workshop information or to register, contact Andrei Gheorghe.